One picture upload picture and no text, and easy to find. Maxi Scoots > Site Suggestions & Help > Site Suggestions > One picture upload picture and no text, and easy to find. I saw there is a topic called " Everyone post a picture of their scoot(s)!" but its not easy to find and there are several things that are less good. First of all you can post text without any picture, and when upload more the one they get compressed to minor pictures, and to see them you have to mark them and open up on a digfferent page. A very time-consuming way to look at them. 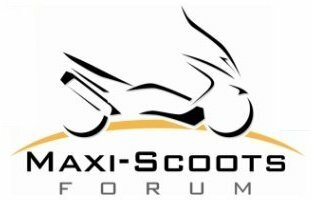 I would like to see other members scooters, and think there are many other who want the same. Not read any coments or anything else. And not a topic that gets burried and forgotten. or you have to go to a undercategory to find it. I talk about something on the main topiic page, having it as a part of the forum or at least as a sticky subject, where each member upload 1 picture at a time, and no text. Then anyone can go through them rather fast and get ideas about changes to your own bike. I could probably set up a photo gallery and make it a main tab up top. Let me work on that this month. Maybe something can do in truck on way to rally.